A beautifully designed home or office adds style, charm, and intrigue, but also makes the space more efficient and functional. 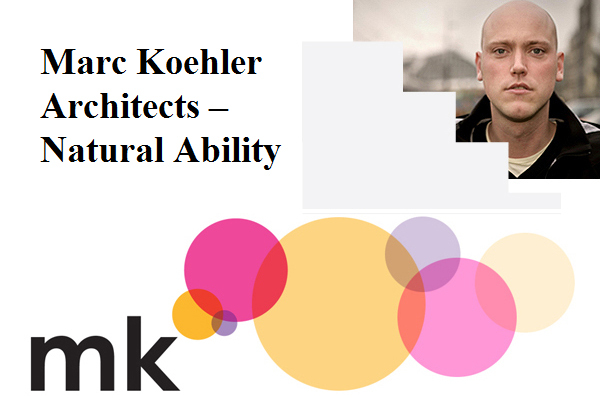 While some companies achieve good results, Marc Koehler Architects seek outstanding results. Isay Weinfeld - Born in São Paulo the largest city in Brazil, Isay Weinfeld would prove to be a triple edged sword for the world to admire. Todd Oldham is best known for his progressive design philosophy, spending the past 20 years designing both living spaces and products. Andreas Charalambous, You Can Have It All - For most children the idea of growing up is deeply associated with a particular occupation. Many want to be a fire fighter, doctor or lawyer. Vladimir Kagan is most handsome in appearance and art. The name Kagan is more than well known; this name is a signature of modern design. With a career greater than sixty years, Mr. Kagan’s ingenious style is a part of the American fabric. He began designing in the year 1946, and a few short years later his original sculptured designs fashioned a new look in American furniture. Paola navone - Italian Design- Born in 1952 in Balzona, the southern portion of Turin; this young girl learned that instead of Barbie, she preferred handcrafting her own dolls. Suzanne Martinson could be described as part of the “New Urbanism” movement, prevalent in Miami, Florida and ‘damaged districts’, such as New Orleans. She believes that building according to appropriate design standards can actually help cure wounded cities and towns while heading off further degradation of the countryside. Southern California, quirky skateboard culture seems like an unlikely place of inspiration for a budding designer. Especially one about to unleash startling design concepts on the world. Hariri and Hariri Architects one of the World's leadingarchitectural desrn firm, This pair of Iranian born sisters may very well have single-handedly designed Salzburg into the 21 century. It is almost a status symbol when you talk about designer Philippe Starck's new ventures - hotels, condominiums and even home furnishings in Miami extravagance. Eyebrows are raised and doors set open in the social circles of the beach, as soon as you say, I live in Icon.